Scots College is welcoming girls in a staged introduction, transitioning gradually so as to be able to maintain a personalised education experience for all senior students while developing the College campus and resources. 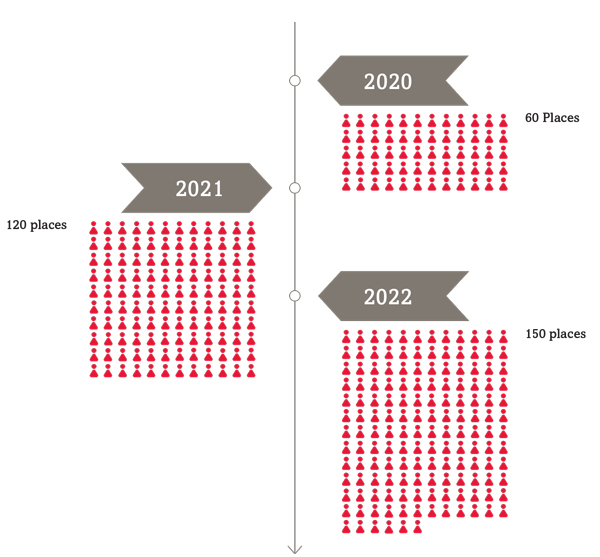 An initial 60 places are available for girls in 2020 and an additional 60 places in both 2021 and 2022 across Years 11 to 13. These roll numbers also include an allocation for girls to board and international students. Applications for enrolment are open at any time. If you would like to find out more about co-educational boarding at Scots College from 2020, please visit the boarding section of our website here.